Oddsoft are the producers of the Radio Aids Navigation Tutor (RANT), an invaluable software training package for PCs. RANT featured in the UK CAA LASORS publication as a suggested professional training aid. Oddsoft brings over 90 years of cockpit experience to our software. Learn from real professionals with a passion for what they do. 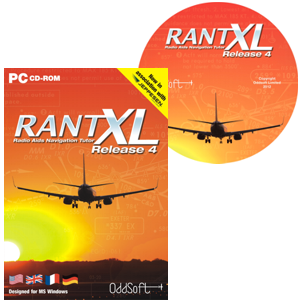 RANT features Jeppesen® charting and approach plates. RANT is available to purchase online, click the image to the right to visit our shop.